Our sweet little girl turned four years old this summer. I say this every year, but seriously - where has the time gone?? This year was especially fun because we let her choose her own theme. 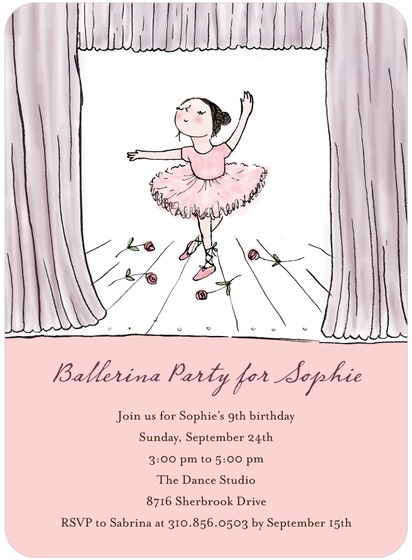 She absolutely loves ballet and ballerinas, so when she said she wanted a ballerina party, I was very excited. 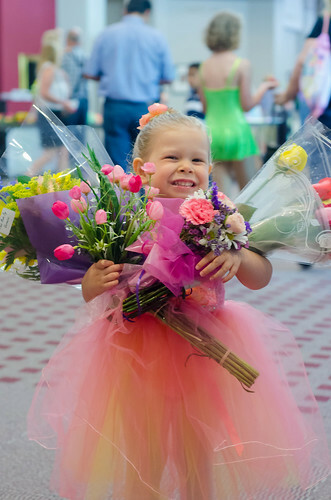 She just completed her first year of ballet, and we recently attended her recital. Can I just say that it was the sweetest thing ever, and I may or may not have cried like a baby the entire time she was on stage?? As it tends to do, however, life got in the way this summer. 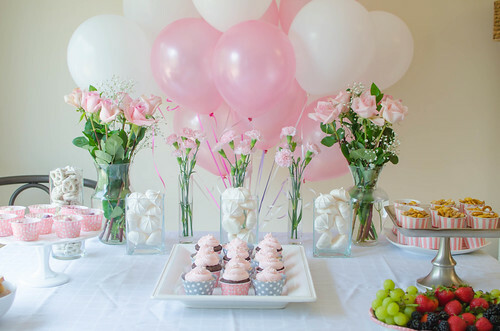 I had all sorts of fun and girly ideas for the party, but sadly I didn't get to execute them all - Caroline's birthday was smack dab in the middle of my terrible morning sickness, our house hunting, and several doctors' appointments. So needless to say, I wasn't really on my "A-game." As I mentioned before, I wanted everything to be frilly and girly, so I decorated the table with white linens, white and silver serving dishes, and pretty pink flowers. Caroline loved the flowers and food table! I served the chex mix and yogurt stars in little snack cups, and they were the perfect size for the kids to just grab and go. Caroline has quite the collection of dress-up clothes, so we had them out and available for her and her friends to try on and dance around in. We also cleared out all the toys, area rug, and small furniture from our living room to allow for plenty of space for dancing! I bought enough wands for each child to have one (and take home), and they all loved dancing around with them. Caroline was super excited to wear her ballet costume from her recital, and the other girls loved wearing their ballet clothes and costumes as well. For those who weren't as interested in dancing, we set up a coloring station in our dining room, complete with several different ballerinas to color, stickers, and little jewels for decorating their masterpieces (sorry, we didn't get a picture of the set-up though!). After a few songs and games, the fun began: cake! Caroline doesn't get birthday cake at most parties due to her egg allergy, so she was super excited to eat a pretty cupcake. Note: long hair, tulle, and fire do not mix well! She is so, so cute! What a perfect theme and beautifully done :) Lucky girl!! Looks fantastic! In the midst of moving, and having morning sickness you still put together a beautiful party. Oh my gosh!! 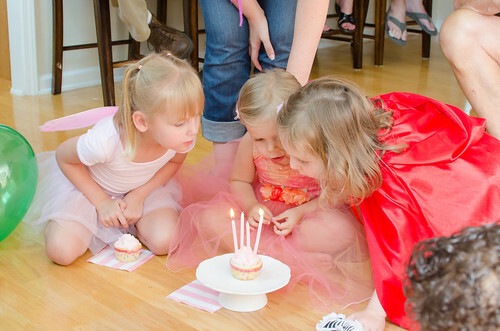 That birthday party is just the cutest thing ever!! She is truly adorable. How darling is she! My neice Amanda is 8, and has been doing her ballet since age 3. I love going to her recitals and bringing her roses. She would love your party! I love the ideas you have given me. 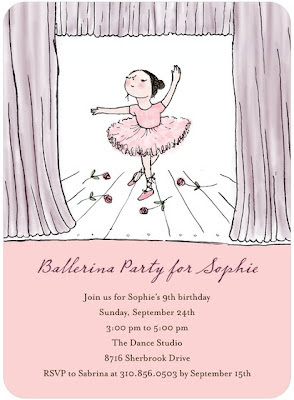 Josie, what a sweet party for your sweet girl! 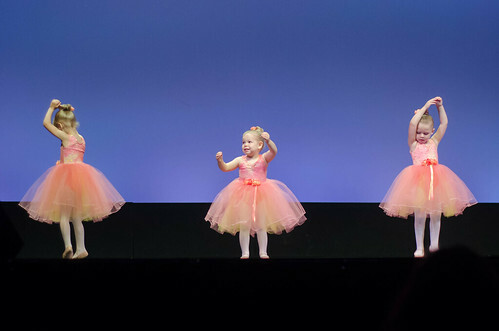 I hope and pray I'll have a baby girl who will love ballet as much as Caroline and I do. I would love to throw a party just like this one. And have I told you my first ballet costume looked almost identical to Caroline's? Hot Caprese Dip? Care to share that recipe? sounds interesting! Such a beautiful party! Caroline is so, so adorable! She is too stinking adorable! Great job on her party. 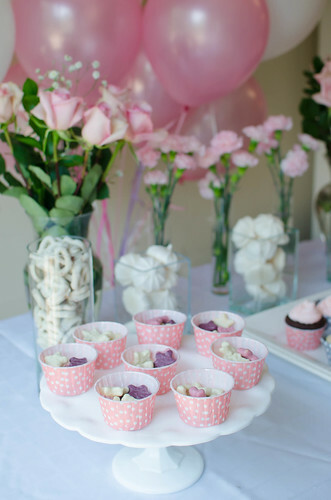 I can't imagine planning a party with a soon-to-be 4 year old, baby and two more LOs on the way. I admire your drive!! Everything turned out SO pretty Josie, I love it! Caroline is the cutest.